June the 24th and 25th 2006 at Barnes ANGB in Westfield, MA. USA featuring the Navy's Blue Angels. This year would have been Westover's year to host this airshow, but due to an excersise they couldn't host the airshow this year. The Blue Angels contacted the 104th FW at Barnes because they wanted to have an airshow in New England. The only opening they had was June 24-25. The major problem was this was the same weekend that Quonset RI had their airshow schedule with the Thunderbirds. Not only did I have the problem of splitting this weekend between airshows, but the forcast was not a good for the weekend. Hazy, Hot and Humid was the the forecast for Firday and rain on Saturday and Sunday. I arrived early Friday so I could capture the arrivals, this is one of the best chances to catch the static aircraft coming in for the show. The 104th had some of their A-10s at one end of the ramp, but they were waiting for most aircraft still to come in. A Syracuse F-16 was already on the ramp, and the Hot Ramp had all of their demo aircraft already parked. The Blue Angels who were flying over from the Netherlands had 4 aircraft delayed in England due to refueling problems. Numbers 1, 5 & 6 were on the ramp but the others, (2,3,4 &7) were scheduled to come in later. A static C-17 from McGuire, Otis F-15, F-18A from Oceana in an Aggressor paint scheme, 2 F-16's from the VT ANG all started to arrive. Around 10am they started some of the practice demo's. The Commander of the Blue's went up first to get a feel of the field. Then the 2 soloest went up to mark the boundries. We had some static helo's from the NJ USCG, MA Army Blackhawks and Chinooks, 2 Cobras from an East Coast unit arrived and parked down at the South ramp. A Prowler from VAMQ-4, F-18A from VMFA-115 arrived just before the West Coast F-15 demo went up. Due to the moisture in the air, he gave us some great vapor shots, but the lighting wasn't the best. The 104th PAO brought some of us over to the Blue's ramp so the TV media could take some interviews, and the others could take pictures of the crew. This was a great experience to get not only close to the World Famous Blue Angel F-18s, but also the pilots, pilots of Fat Albert and all the ground crew that keep all of these aircraft flying safely. While we were on taking pictures of the Blues, a F-18F from the VFA-32 had arrived. The crews of the WC F-15 team towing their aircraft into position which they taxied right by use. Then the Blue's crew had towed the 2 solo birds into their slots to refuel. We went back to the media area waiting for the 4 Blue's to arrive which happened around 4:20pm. A couple of T-6 Texan II flew came in. The four ship of Blues were cleared in, because of their long flight, they just performed a carrier break over midfield and landed. After they were cleared to their ramp a few media flights lifted off. An L-39 from my home airport, KPSM brought a lady up for her flight. An E-6B from the Navy was cleared in next, and a T-45 Goshawk had arrived. I decided to call it a night and hope for some decent weather tomorrow for the Saturday show. Saturday AM I woke up to showers so there was no rush to get there too early. The rain broke enough for some acts to start flying around 9:15am, 2 local A-10s took off for a fly over to Quonset RI. In return, they had sent over a C-130J for a landing, taxi backwards and then departed. A C-5 from neighboring Westover stayed in the area for over an hour making a few passes when time permited by the airboss. Bob Cipolli in his S-300 Staudacher took to the skies next to perform a low show. The WC F-15 demo launched after Bob and just like Friday, were had some great Vapor opportunities and due to the low light, the burner shots were plenty. The SAAB performance driving team did 3 shows, each driver is a SAAB engineer. They had 3 cars running in tight formations and at times having the middle one spin a 180 and fall right back in place but running in reverse. The Iron Eagles, Mike Goulian and the Heritage Flight with the C-47 and B-25 all took turns to do their show. Rob Holland and Kirby Chambliss were next with acrobatic aircraft. Rob Holland stayed aloft to race the old Hawaiian Fire Jet truck. Once they landed it was time for the A-10s from the hosting 104th FW to perform their straffing runs with the explosions and gun sounds. Following the A-10s landing was Fat Albert, C-130 support ship of the Blue Angels performing his JATO take-off. He was able to make some high speed passes, and front on approach low infront of the mountain to the east of Barnes and then did a combat approach to land. The Blues were up next to launch, for some reason #6 taxied to the opposite end of the runway and departed after the lead solo took off. Even with the low clouds, they didn't let the crowd down. The lead solo made a great low speed pass over the runway with vapor just coming off the jet. Once they were done performing their low show, they parked at show center and took time to autograph pictures for the kids. This was a great show despite the weather, I'm hoping that Barnes will still be able to host another show next year. 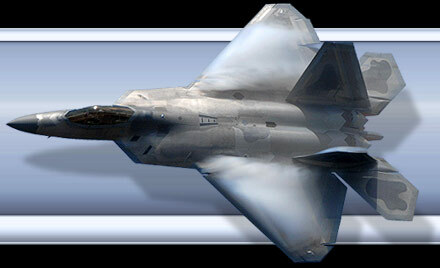 They will be transitioning to the F-15C's which will be coming over from the 102nd FW at Otis ANGB on Cape Cod. Many thanks go to the whole PAO office of the 104th FW.